Many highway commuters are frustrated after experiencing long traffic delays in the area between Clarenville and Goobies. Many highway commuters are frustrated after experiencing long traffic delays because of road work between Clarenville and Goobies. But Newfoundland and Labrador's tranportation minister Steve Crocker says doing the work at night is not an option. "The cost of night-time construction is at minimum 30 per cent more expensive than daytime. And in today's fiscal reality we're working with a budget of roughly $77 million, and if we have to pay one third more, we would see one third less roads being done," said Crocker. It's a lesson learned last summer, in a test of whether road work could be moved to off-peak traffic times. "We learned a lot from that pilot project last year, and when you think about the issues or the challenges, some of the challenges quite frankly were around cost," Crocker said. His department told CBC News the extra costs are associated with the need for additional training and equipment. Productivity is also lower and it takes longer for projects to be completed. The work now underway east of Clarenville is shutting down at least one lane on either side of the two-lane stretch of highway. Drivers on Sunday complained about waits of an hour. "Any time we're doing major construction or improvements on the TCH you can expect slow downs," Crocker told the St. John's Morning Show. "The contractor had started doing mill and fill because the weather conditions had improved, so unfortunately that's one of the consequences of our short construction season." Crocker said the contractor runs operations in shifts of 10 days on and four days off, and assigns certain days to the eastbound and westbound lanes. "The reality is, yes it's painful when you're stopped for an hour, or 20 minutes or 15 minutes, but the reality is we need to make these highway improvements," he said. "It's about improving the ruts, it's about making our highway safer, because I would argue with anybody that the section of highway today from Goobies to Clarenville is safer than it was a week ago." 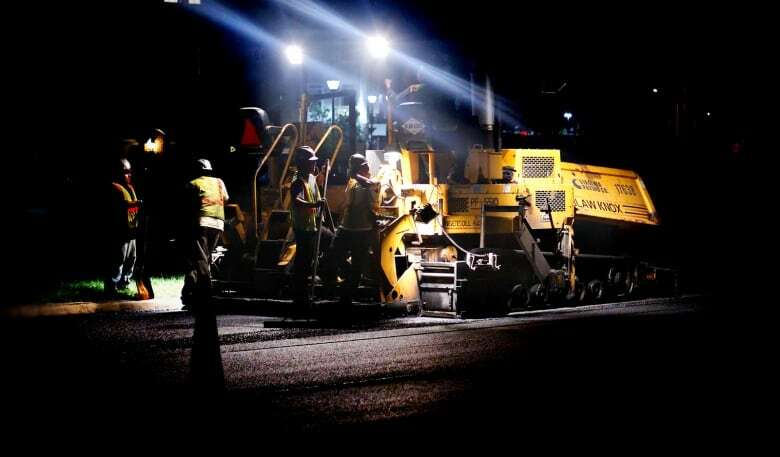 Crocker said the government may revisit the idea of nighttime paving. "Not to say that we're not going to do nighttime again, we most certainly will, but also there's things around safety and detours and stuff," he said. The construction efforts are moving east after finishing the Clarenville to Goobies stretch, he said. "Up next we have the TCH from St. John's to Whitbourne, so we can expect that we'll have a contractor on site there in the coming days, and they'll be doing the improvements that were in this year's roads plan for that section of the Trans-Canada."